Lectures and educational presentations from Polar Specialists. Antarctica awaits, with its geographic contradictions and overwhelming enormity. Relax on a Zodiac ride, hike glistening glaciers, share comical moments with inquisitive penguins, or witness the rugged peninsula from a sea kayak. 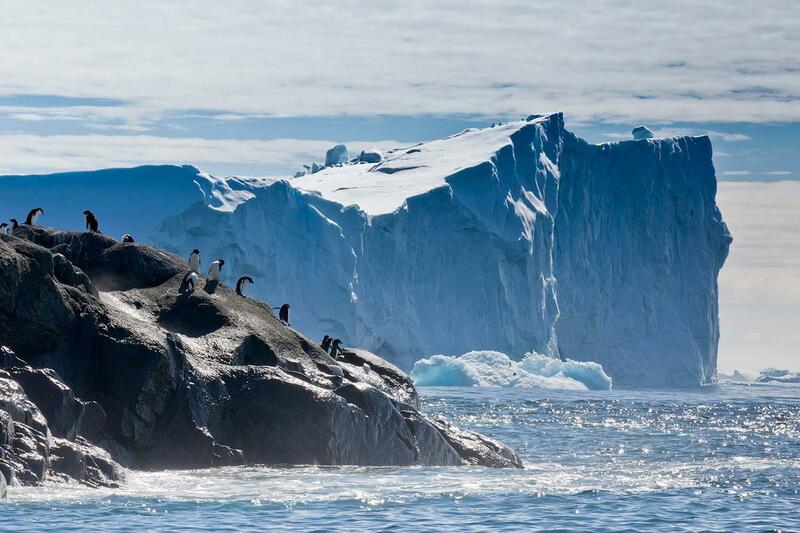 Antarctica will surprise and delight, and never disappoint. Booking an Adventure Option on your expedition is a great way to enhance your polar experience. These options are subject to availability and fill up quickly, so be sure to book yours early. Please note, Adventure Options are weather dependent. Imagine gliding along the surface of a bay in the presence of icebergs and glaciers! Our kayaking adventures are the best way to feel at one with the sea. Taken in small groups of 16 people, multiple times per voyage, kayaking adventures are only conducted during calm weather conditions. We recommend you have some prior kayaking experience, including the capability to do a wet exit. The kayaking adventure option is open to all levels of experience. However, we advise that kayaking in polar waters is not an activity for first-time guests. Beginners interested in kayaking, should first take an introductory kayaking course prior to their voyage. In addition, regardless of your experience, we recommend kayaking lessons for a minimum of three hours in preparation for your expedition. It is of the utmost importance that you be comfortable while kayaking in order to maximize your enjoyment and your overall experience. Combining surfing with kayaking or canoeing, stand-up paddleboarding will give you a very personal and unique perspective on Antarctica. Taken in small groups in good weather conditions on calm bays and harbors, with Zodiac accompaniment, paddleboarding will be offered on via sign- up onboard ship on a first-come, first-served basis. More information about your Adventure Options, including necessary experience, physical requirements and cost available by contacting us. Use Promocode XXQ20 during the booking process. *Standard cabins: Twin Obstructed, Twin Window, Single Obstructed & Single Porthole **Premium cabins: Suites and Balcony Suites Valid on new bookings, applicable to above departure dates and selected categories only. Excludes triple cabins. Must quote the Promocodes above and provide full names at time of booking. 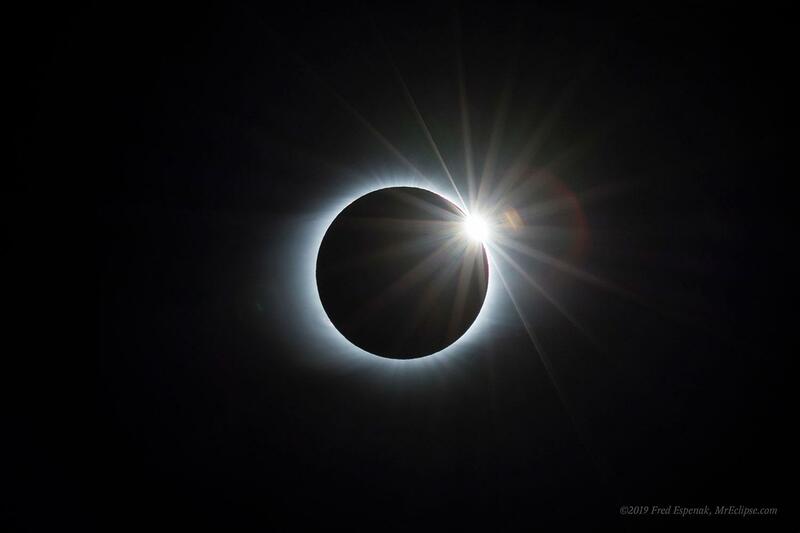 Not combinable with any other promotion and applies to voyage only - not applicable for transfer packages, land-based programs, Adventure Options, additional hotel accommodation, pre/post tours, insurance, or flights. The right is reserved to limit, change or discontinue promotion at any time without notice. No cash value. Get the very best of Antarctica in one voyage - don't miss out on South Georgia! Explore Ushuaia prior to embarkation and sail down the spectacular Beagle Channel. Photograph massive albatross and pintado petrel as they soar around the ship, guiding us toward South Georgia. 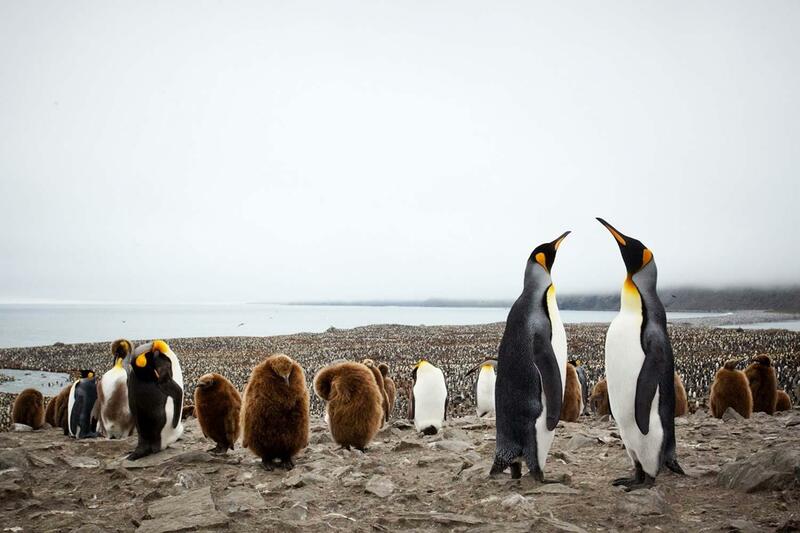 Beaches teeming with king penguins and elephant seals greet us, where we pay respects to famed explorer Sir Ernest Shackleton. Antarctica awaits, with its overwhelming enormity. Relax on a Zodiac ride, hike glistening glaciers, share comical moments with inquisitive penguins, or witness the rugged peninsula from a sea kayak. Antarctica will surprise and delight, and never disappoint. Day 1 — Arrive in Ushuaia, Argentina You will begin your journey in Ushuaia, a small but bustling port at the tip of South America. It’s the ideal gateway for you to explore the southern extent of Patagonia while preparing for your adventure ahead. Get active in the mountains or enjoy handcrafted chocolate at a café in town. Day 2 — Embarkation Day Embarkation will occur in the late afternoon, after which your vessel will sail down the historic Beagle Channel, which transects the Tierra del Fuego archipelago in the extreme south of South America. Expect an air of anticipation as you depart! Day 3-6 — At Sea There are many activities to keep you engaged while you are at sea. Learn to identify seabirds that glide alongside the ship, or attend dynamic presentations by your Expedition Team. You will be prepped on safety procedures for Zodiac cruises and shore landings, and also be given instructions for getting the most out of your optional kayaking adventures (extra cost), a truly intimate way to experience Antarctica. Day 7-8 — South Georgia The first indication that you are approaching South Georgia is the sight of birds around a group of rocky spires called Shag Rocks. Have your binoculars and cameras ready to photograph these rocks rising out of the icy ocean waters. Shags and prions often rest here. After enjoying South Georgia from a distance, we’ll head toward its numerable beaches to find a protected bay for your first land excursion. Landing sites on South Georgia are varied, largely determined by the weather conditions of your voyage. Whichever sites we visit, they’ll provide you with wildlife encounters unrivaled anywhere else on earth. This is one of the most fertile breeding grounds in the world for subantarctic wildlife, with beaches blanketed with penguins. It won’t take you long to realize that South Georgia is a paradise for bird lovers, as burrowing seabirds, albatross and petrels can be seen in abundance. You’ll find that South Georgia, once a popular base for whalers and sealers, is also scattered with abandoned relics and evidence of human activity from centuries gone by. Your Expedition Team will help bring those days to life while you visit old whaling stations and enjoy presentations on the South Georgia of then and now. One of the most significant sites you will visit on the island is Grytviken. This settlement is one of the first whaling stations established in subantarctic waters. Many travelers find that this place has a special appeal, as it is home to the remains of Sir Ernest Shackleton, one of the most famous Antarctic explorers. 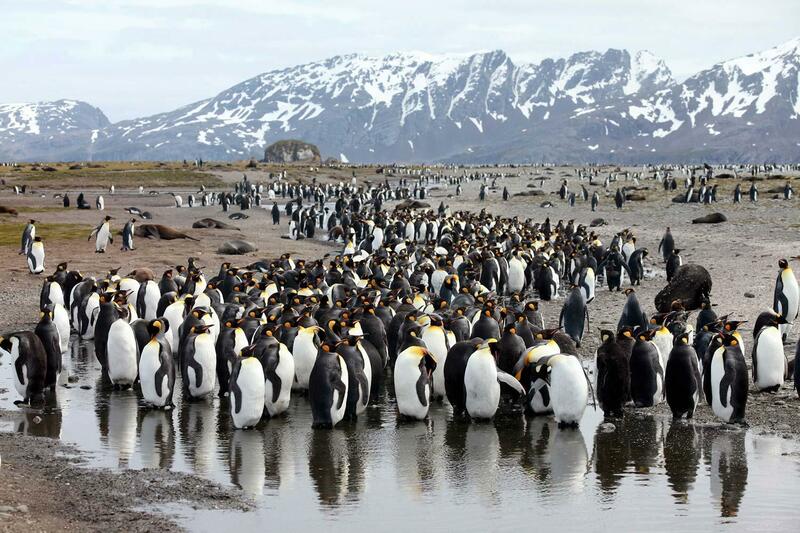 Days 9 & 10 — At Sea Say goodbye to the king penguins, as your next destination is Antarctica! Your days at sea are filled with presentations and lectures led by your Expedition Team, who will prepare you for the wildlife that will greet you upon your arrival. In between activities, spend time chatting with your shipmates over a drink at the bar. If conditions allow, we may attempt landfall on the South Orkney Islands, our first official stop in Antarctica. Days 11-13 — Antarctic Peninsula The most common reaction upon reaching the White Continent is a sense of reverence and awe. The experience is hard to put into words, since few places are as untouched, unique and enduring as Antarctica. 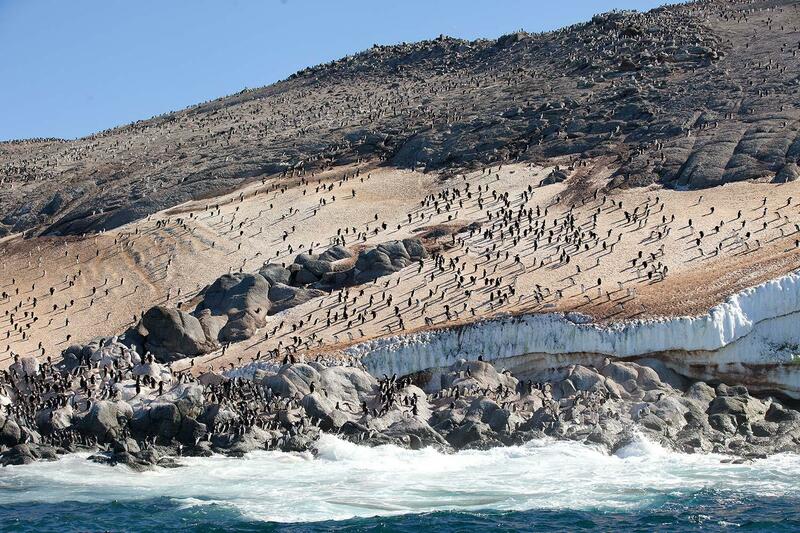 You will discover that Antarctica is a land of extremes. At one moment you’ll be overcome with a feeling of complete desolation and silence, and at the next moment, you’ll be inspired by nature as a calving glacier crashes into brilliant blue sea or a penguin waddles by to inspect your footwear. 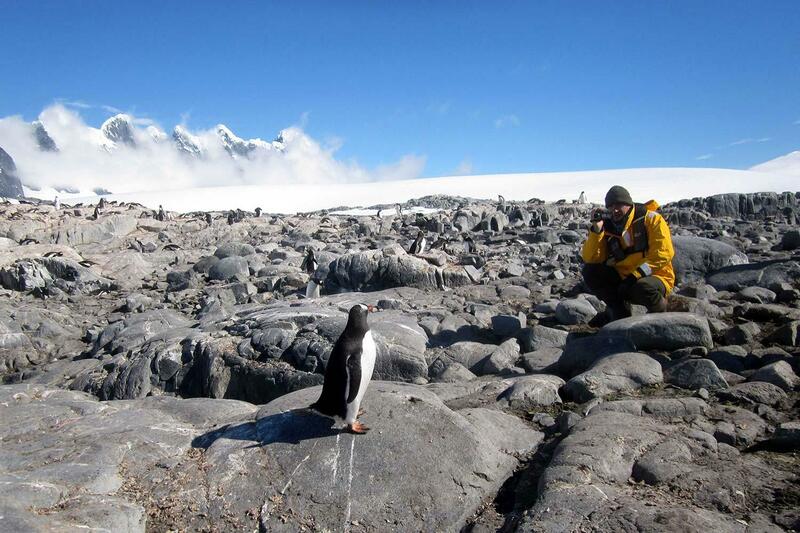 Your Expedition Team will take care of you at each landing, whether you are Zodiac cruising, visiting a historical site or consorting with penguin colonies. 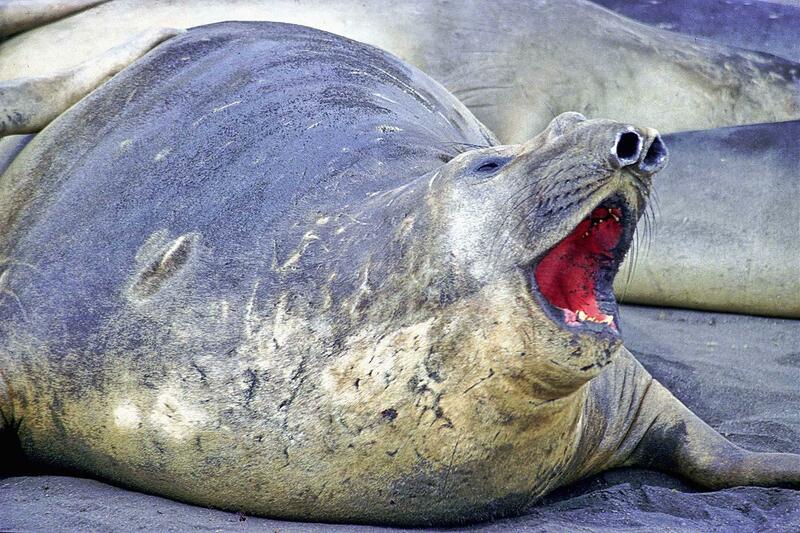 Chinstrap, Adélie and gentoo penguins are found here, along with Weddell, fur, crabeater and leopard seals. Keep a lookout for curious whales, such as minkes, while on a Zodiac cruise. Each day and each landing will present a new collection of creatures to delight you and keep your camera busy. 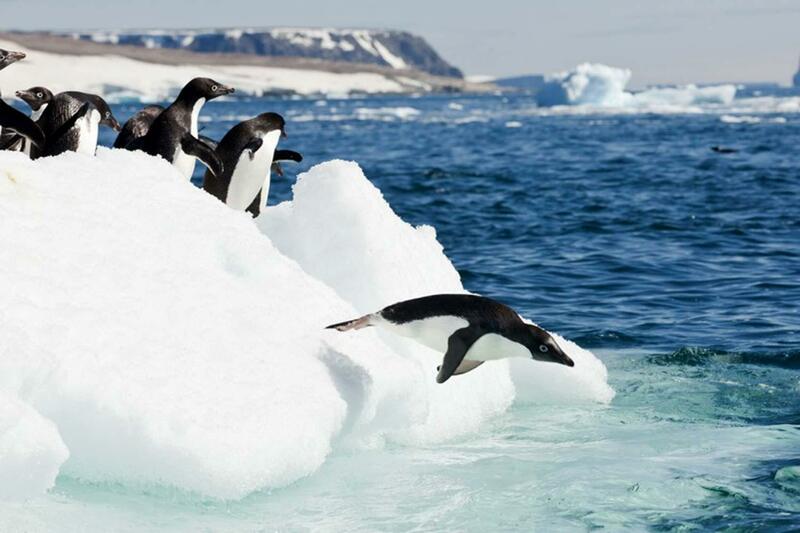 As exciting as the Zodiac excursions and landings are, perhaps you’ll treat yourself to an extra-special Antarctic experience by partaking in an optional kayaking excursion (extra cost) or going for a plunge in Antarctic waters! Day 14 & 15 — Crossing the Drake Passage After more than a dozen days of memorable wildlife encounters, your journey home begins. Crossing the Drake is your unofficial rite of passage, to spend time on the deck, watching for seabirds and scouting for whales, enjoy presentations by your Expedition Team, or simply relax and reminisce about your experiences. Day 16 — Disembarkation in Ushuaia You will arrive in Ushuaia in the morning, which allows for you to continue your adventure on land or catch your flights home. Important reminder: Embracing the unexpected is part of the legacy – and excitement – of expedition travel. There are no guarantees that we can achieve everything we set out to accomplish. A measure of flexibility is something all of us must bring to a voyage. There are nearly 200 recognized sites in the Antarctic Peninsula and South Shetlands and the places mentioned above may be changed to others equally as interesting. 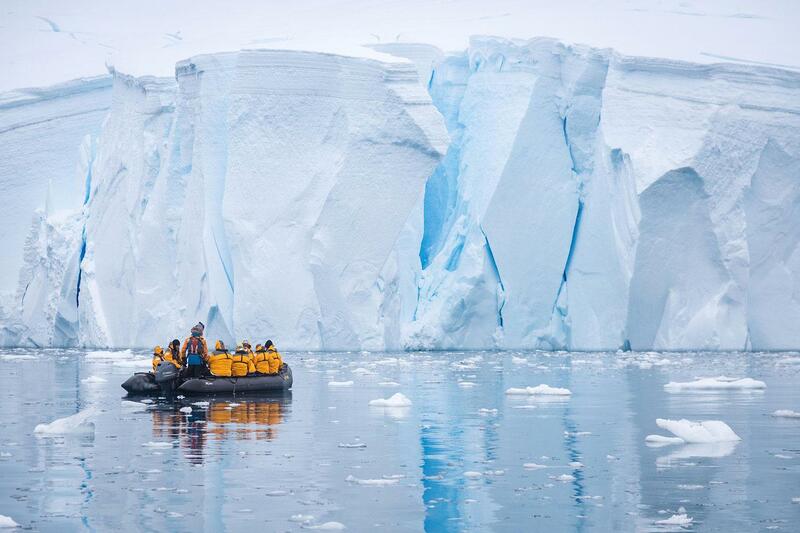 Sail aboard the Ocean Diamond, a modern, stable super-yacht and experience Antarctica. Carrying a maximum of 189 passengers, this outstanding vessel features numerous adventure options plus onboard amenities such as a massage and wellness program and a well-stocked polar library. All shore landings per the daily program. Leadership throughout the voyage by our experienced Expedition Leader. All Zodiac transfers and cruising per the daily program. Formal and informal presentations by our Expedition Team and guest speakers as scheduled. Photographic Journal on DVD, documenting the voyage. A pair of waterproof expedition boots on loan for shore landings. An official Quark Expeditions parka to keep. Coffee, tea and cocoa available around the clock. Hair dryer and bathrobes in every cabin. Comprehensive pre-departure materials, including a map and an informative Antarctic Reader. Rates and Share Bookings Prices shown are per person in US Dollars on a shared basis. If you are travelling alone and wish to share, you will be matched with someone of the same gender and pay only the share rate. If desired, Single occupancy is available at 1.7 times the twin share rate. Deposits Reservations require a deposit of 20% (minimum $1000 per person) at the time you receive a booking confirmation from Expeditions Online. A payment link will be sent to you and this may be paid by major credit card. Bookings within 120 days of departure require full payment. Final Payments Balances are due 120 days prior to departure and may be paid by bank transfer. Cancellations All requests for cancellation must be received in writing to Expeditions Online. Cancellations received 180 days or more prior to departure, are refunded less a fee of $1000 per person. If cancellation is received between 179 days and 120 days, the full deposit is forfeited. If cancellation occurs less than 120 days prior to departure, all payments are forfeited. If full payment has not yet been received, the full penalty will still apply and any unpaid balance is due immediately. We strongly recommend that you obtain adequate trip cancellation insurance. Booking Terms Please read carefully the Terms and Conditions for Expeditions Online (link at the bottom of this page). 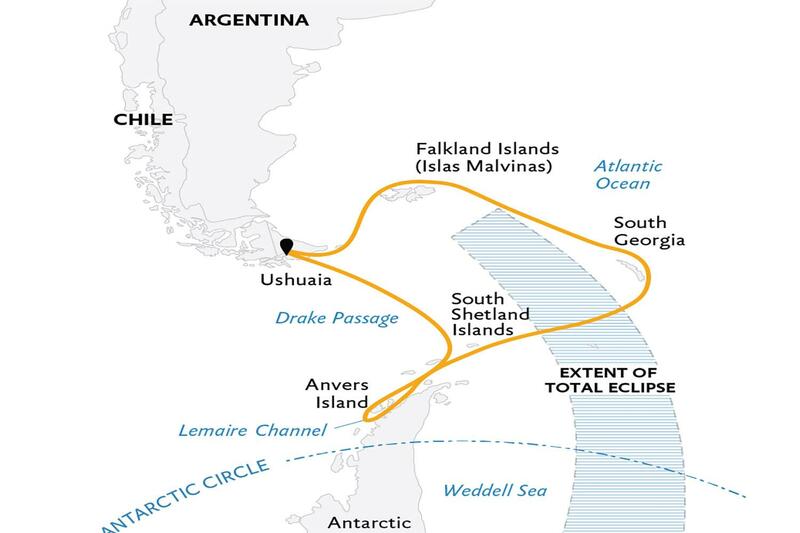 This voyage is operated by Quark Expeditions and you additionally travel under their terms and conditions as the operator as well as of the Shipping Company/transport carrier. Details will be forwarded to you at the time of booking.